Nearly everyone wants to be rich, but no one really knows how. Right? 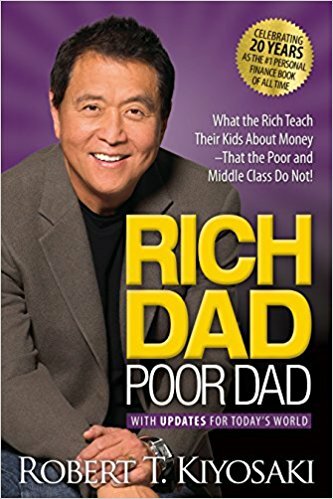 In Rich Dad, Poor Dad: What the Rich Teach Their Kids About Money—That The Poor and Middle Class Do Not!, Robert Kiyosaki, a successful businessman and best-selling author, details how exactly one can get rich. He maintains that there is no way to “get rich quick,” and that you must work to develop the intelligence and mindset required to become rich. This book is filled with advice to help you learn how to make good investments, change the way you perceive money, develop your financial intelligence, and more. We have compiled all of this advice into actions that you can begin trying out today—so that in a few years, you can be rich too! Kiyosaki is best known for his book Rich Dad, Poor Dad, the #1 New York Times bestseller. Kiyosaki followed with Rich Dad's CASHFLOW Quadrant and Rich Dad's Guide to Investing. He has now had at least a dozen books published. Learn the lessons life teaches you. Become rich and stay rich. If you run a corporation or plan to someday, develop your financial IQ. Spend time learning about a variety of things rather than specializing in one thing. Take action and begin walking the road to becoming rich.